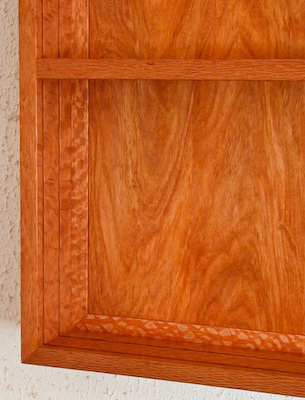 The frame is made of wonderfully figured silky oak. Access is via a hidden door on the right side. 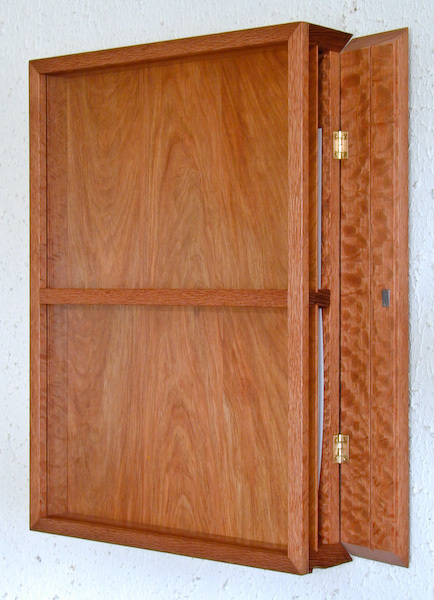 The door has a magnetic catch and is opened via a recessed space for a finger to grasp the bottom edge of the door. This is just visible in the above image on the bottom element of the frame. The two glass front pieces are removable for cleaning. A divider in both the top and bottom halves separate the front display area from the storage area in the rear. These and the back panel are New Guinea rosewood. The following image shows that the door is not detectable when closed. Two dummy cards are shown in the position where the valued works will be displayed. 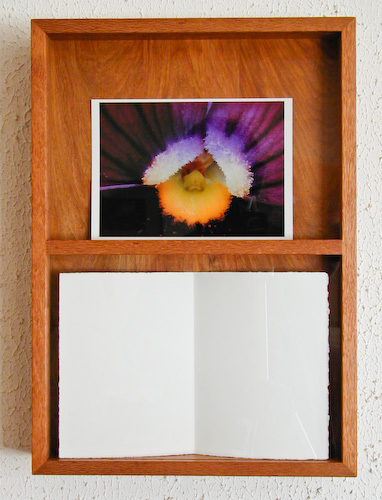 This image has the glass and dividers removed to show the frame and panel construction of the back of the cabinet. The mitred corners are splined for strength. 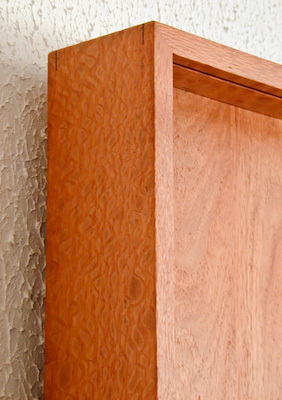 The extraordinary figure of the silky oak sides is glimpsed in this image.